Web at 30. The won, lost and the next 30 years? The utter maddening things we do. Some people drive to the nearest shopping centre to buy the latest phone or PC. Me, I boarded a 16-hour round trip to New York’s B&H bought my Powerbook, with its wopping 6Gb hard drive, ate a pizza and boarded the next plane home. What would drive anyone to do that? I needed little convincing that with this new computer this was the future. It could cut video with new editing software e.g. Final Cut 1.0 and secondly, the future of the web said a number of bleeding edge magazines e.g. Video Age, which this morning I scanned below spoke about video and the Napster of Video when the Net eventually hit the magic 8mb data speeds. I also saved £700 had I bought my Mac in the UK. Back in London, Jon Snow marvelled. “You can actual edit on that?” he asked, “Amazing”. Yes I replied and connect to the Internet, as well. I was one of Jon’s producers and about to leave the channel. He beckoned me into the studio and said this which when it went online had my friends in a tailspin. This was video recommendations ala Linkedin before Linkedin was created. For the first time, I didn’t have to spend £600 and upwards having my showreel edited onto VHS. The Net is nearly thirty years old. What’s your story? In the history of tech, remarkably it’s a baby. What we’re doing on it now is the equivalent of our ancestors cave drawing. It’s hard to fathom when we consider what Amazon, Facebook, Google and a myriad app developers have achieved. But 5G and above will render much of what we do now obsolete. Negligible latency, diminution of application needs, unfathomable universal codecs for haptic, thought even emotional sensors. In What Men Want sports agent Ali Davis gains the power to hear men’s thoughts. At my university in the engineering department they’re already using mind controlled equipment. Bluetooth hopping could replace comms signalling for modern telephones. Imagine that, like Captain Kirk you tap a button and start talking. I have seen an early iteration put to use in African villages, and according to one of the brilliant minds on 5G Professor Mischa Dohler from Kings College, new skill sets in the Internet of skills (IOS) and synchronised web will emerge. In 2005–11, working with the Press Association I trained hundreds of Britain’s regional newspaper journalists in video and cinema journalists ( read here). Imagine if I could be beamed to them. It’s coming. Mark my words. Mark my words said in my best Merovingian (from the Matrix) impersonation. We all have our stories of the Net. How we fell in, and perhaps out of love. Your first email, first web browsing, and first url which took you to a wrongish destination. Let’s not forget if you searched for www.whitehouse.com in 1999 you were in for a shocking surprise. The Net’s so natural today, we forget it’s a construct. “What do you know about the Internet?”, a horn-rimmed bespectacled man asked me in 1994 as he leant forward during a job interview. A bit, I said. At university seven years earlier as an Applied Chemistry undergrad (Chemistry and Maths), we were forced to construct fluid flows routers for Dr Latham -which was modelled for usability on the Internet. Back then too my girlfriend’s dad, a former engineer at Nasa, provided a glimpse in our conversations. Then in 1995 I would be introducing this below to Londoners, at least those with our news service this is about to revolutionise the world — yeah right! First contact with the Net was exhilarating, magnificent, mind blowing even. How it worked was beyond imagination and the brilliance of the stories underpinning it had no bottom. The father of the Net Tim Berners Lee wanted something to aid memory and record data. ARPRANET — the pre-Net was an accident to safeguard military brass’s extra marital affairs. The brass wanted to build something to give them an early warning system of their enemy launching a nuclear attack. Short wave was considered, but the limitation on data and its vulnerability if a broadcast mast was disabled would incapacitate the system. The brass asked scientists for more. They bloody mindedly cooked up a network relay system distributing packets of information across a web of routes that was so gargantuan, resilient and secretive, the brass could speak to their mistresses with no trace to imperil their marriages. The Net’s gift was realising the voiceless now had a voice. I say this with passion. The guardians of broadcasting found it difficult to look past brown and black colour when jobs became available. At one point I plastered my bedroom with my rejections. That is in spite of going on to work for BBC 2, Newsnight, ABC News and Breakfast. If you had an idea that was rejected by a broadcaster that was the end of it. Now, finally now, you could get it out with no filters. Corporate media pooh poohed this. The Net would never last. We willed it on. 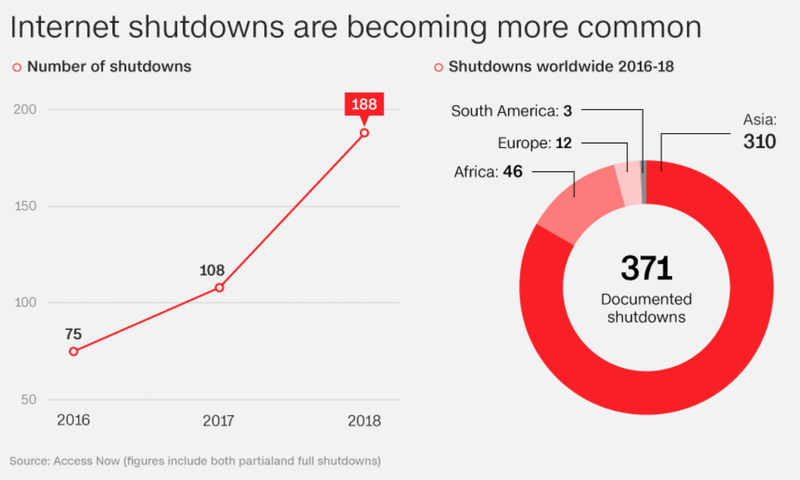 As competitors to mainstream discovered its viability and that the Net was virtually free, the content race took off, and the consequence of this, presciently concluded in the video above remains a burdensome legacy. If it’s free then, why now do you want to charge me now. In 1996 I opened my first Compuserve and Aol account — you know those CD roms! And then started that journey into cyberspace. The crackling whining sound on a 28K modem and then the digital handshake. I emailed the few people I knew and then set about learning HTML and built my first website and toiled over writing my first “about me” extolling my achievements. It wasn’t Ghanaian, or British — my two nationalities. By 1998 the Net was morphing into the powerful entity we take for granted today. Video codecs e.g. mp4 .movs and new compression software meant you could shrink a file size from tens of hundreds of megabytes to tens. Flash, a programme owned by macromedia opened up possibilities to be hugely creative — an animation package that video enthusiasts adopted to make short movies. In 2001 when I was hired to be one of Lennox Lewis’ film makers for his fight with Tyson, I produced a series of video promos sent to his fans 270k in file size. Creatives like Hillman Curtis, Erik Natzke and Yugo Nakamura showed the future we’re still arriving at today, but dark clouds loomed. Holed up in start-up in Soho, working for a company that today is one of the web’s enduring success stories, ( I was just looking at their business plan this morning) the Net’s child in Web1 was about to morph into Web 2.0 and for whatever Friends United, Rocket Boom, and Lonely Girl 15 might have shown us with people connectivity, Silicon Valley and post Napster was about to muscle over this nirvana. The famous ClueTrain Manifesto, a sprawling decree of Lutherian proportion about the web was great but it would also expose its soft belly for raiders, marauders and exploiters. (Co-author Doc Searls latest post here). viewmagazine.tv, a website that is experimenting with hypervideo, the term “drilling” is used to describe the ability to click on a talking head during a sound bite to summon an entire interview. What if an online document could conceal video behind a photo and the video had hyperlinks. What if this could be turned into an online magazine. Early exemplars set the tone, F Video, Heavy.com and the fabulous Hillman Curtis who inspired me beyond my own capabilities. I would catch up with Hillman when he came to London and was devastated when I heard years later he had dies at the early age of 51. That one last push would yield the biggest surprise of my life and create a shock for me winning one of the most coveted awards for multimedia and the web, the knight Batten Awards. More would follow. As if a twist of fate, Apple hearing about how I had virtually leased my brain into their mac called on me for an interview. The ensuing title owes more to Bryan, if he’s reading. After the article was ready, Apple’s marketing was struggling with a label. Rather nonchalantly Bryan replied, “Oh you mean that one man hurricane?” The title stuck. Festooned on Apple’s front page for creatives, the very idea that you could collapse journalism, podcasts, design, neuroscience and philosophy was evident. So, what’s next? The Net is under siege and only now are we as users waking up to the threat. Embedded in its code is tomorrow — when intelligent and biological systems will do much of the lifting. In the 1930s Edward Bernays (Freud’s nephew) detailed how irrational we are. That’s come to bear. But the Net could still be a force for good change. The excitement I felt back in 1995 is replicable. I don’t know the next five years, let alone 30 but I can hazard some guesses. It will continue to erode professions. Journalism for instance will have to rework a new name and approach. Storytelling, the fulcrum which undergirds human interaction will embrace newly devised algorithms with built in unpredictability. Logic as shown by Tali Sharot’s The Influential Mind comes unstuck when faced with emotion. The Net’s neurality will continue to expand mimicking the human mind. Yesterday one of the world’s foremost philosophers in genetics Baroness Warnock died. She was 94. I interviewed her a number of times when the pioneer of genetic finger-printing Dr Alec Jeffries selflessly made my family an international story in Sarbah vs Regina — the use of genetic finger printing to settle a paternity suit, otherwise immigration was about to put my brother onto a plane back to Ghana. Baroness Warnock supplied both a vision for genetics in it’s goodness and warned of dangers. We need the calm incisive voices of Baroness Warnock’s on the Net whose interests do not always elide with e-commercial quotient of this frontiere, whilst at the same time pretending to be goody goody two shoes. The Net has the ability to flatten cultural references, render them scenes of conflict, or give succour to all to grow alongside it as a dynamic, safe and treasured space. There’s some journeys to go. But just, what will it be, is partly up to you? Your turn now. 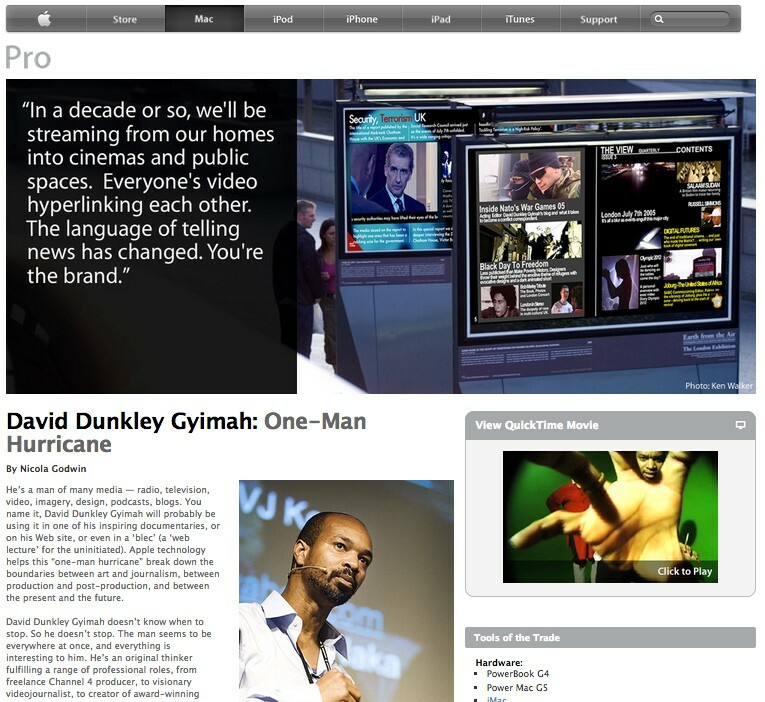 Dr David Dunkley Gyimah is a creative technologist, journalist and cinema journalist. A former Asper Visiting Professor at University of British Columbia, he is presently at Cardiff School of Journalism. He is the recipient of several awards and cites collaborations and co-creating as one of his passionate ways of working. He’s worked all over the world. Cardiff School of Journalism. PhD (Dublin). Fmr Visiting Prof of Journalism at UBC, (Canada. )Launched disLAB. Videojournalist, Ex BBC/C4News. Apple profiled.